New research shows that concussion symptoms -- including headache and irritability -- can affect up to one-third of children one year after concussion. "Children with all types of injuries may show post-concussion symptoms," said lead researcher Linda Ewing-Cobbs, a professor of pediatrics at the University of Texas Health Science Center Medical School in Houston. Her team found as many as 31 percent still had symptoms that included inattention or fatigue 12 months after their head injury. Girls who had mood problems beforehand and kids from poor or troubled families seem the most vulnerable, the researchers said. According to Dr. Robert Glatter, an emergency physician at Lenox Hill Hospital in New York City, "This study is valuable because it demonstrates that our approach to post-concussive management should take into consideration prior psychological issues, gender, familial harmony, as well as income disparity." 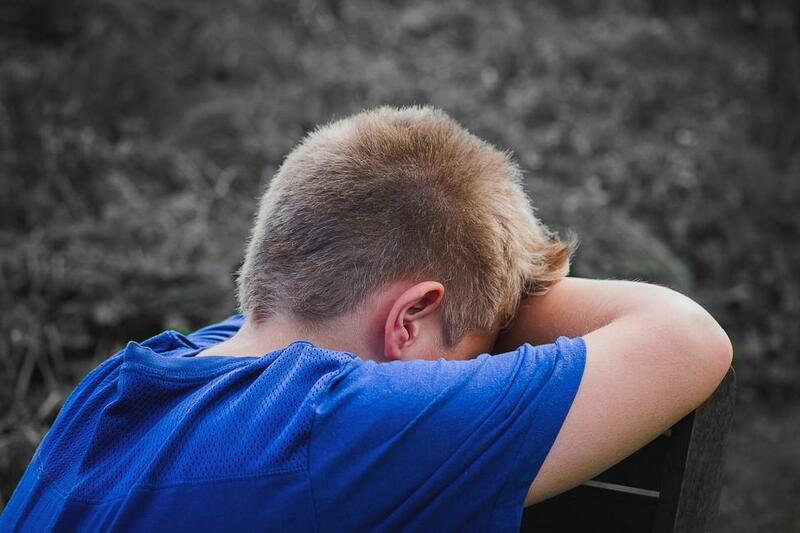 Taking these factors into account might help identify children at higher risk for persistent symptoms, suggested Glatter, who was not involved with the new study. Physical symptoms are usually seen soon after the head injury, Ewing-Cobbs said. Emotional and mental symptoms may become more noticeable several weeks later when children return to school and sports. Although symptoms often disappear within a month, some children have prolonged difficulties that likely affect their school functioning, she explained. "Children with symptoms that persist beyond a month should be monitored by their pediatrician so that they can be referred for any needed physical or psychological health services," Ewing-Cobbs added. For the study, the researchers looked at nearly 350 children, aged 4 to 15, who suffered either a concussion or an orthopedic injury. Parents completed surveys that asked about their kids before the injury and general information about their home life. The researchers then used a ratings scale to evaluate post-concussion recovery. Although girls and boys had similar pre-concussion characteristics, girls had significantly more persistent symptoms than boys. They also had twice the odds of symptoms lasting one year after injury, the findings showed. Family dynamics were also an important factor in children's recovery, the study authors noted. "Children from families that are supportive, communicative, and have access to a community network of supports tend to do better in a variety of areas, including recovering from a concussion, than children who do not have these assets," Ewing-Cobbs said. How soon a child can return to school and sports after a concussion needs to be tailored to each child, Ewing-Cobbs suggested. "There is no one-size-fits-all answer to the question of return-to-play in high-impact sports," she said. That decision should be based on collaboration between medical and school personnel and family, she added. Each year, 1 million to 2 million children in the United States are treated for mild traumatic brain injury, which includes concussion from sports and other causes. Glatter said this study suggests special accommodations may be needed when kids return to school in order to ensure that recovery continues. "This may include medications to manage headaches, regulate mood and anxiety, as well as cognitive behavioral therapy to help with adjustment and problem solving," he said. Parents and teachers need to look out for any signs of depression or anxiety that could influence school performance and social integration, Glatter advised. "Trainers, coaches, school administrators and parents need to be invested and aware of the gender-associated medical, family and social issues that play a role in post-concussion recovery," he said. The report was published online Oct. 15 in the journal Pediatrics. To learn more about concussion, visit the American Association of Neurological Surgeons.